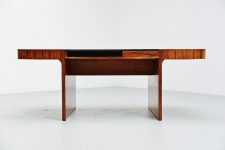 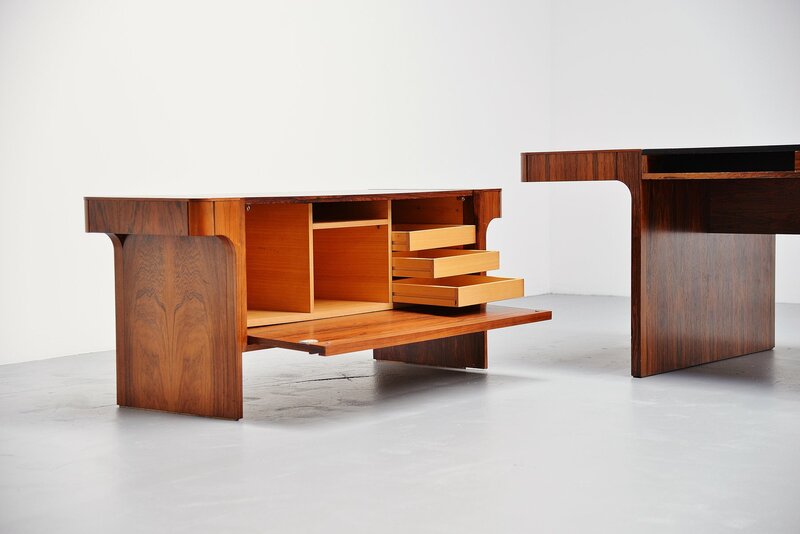 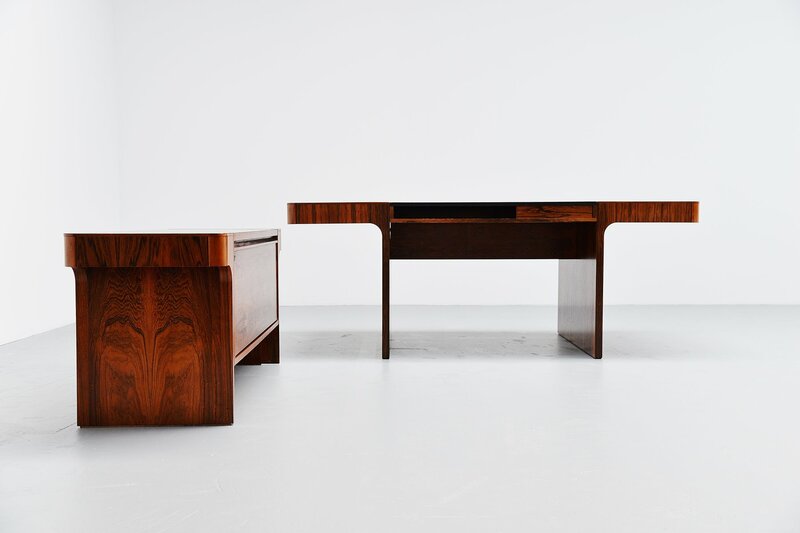 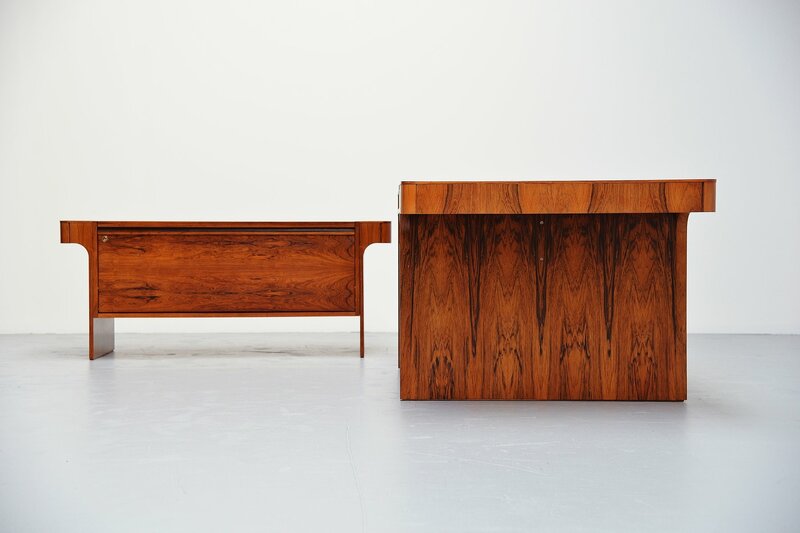 Extraordinary desk set in rosewood, Denmark 1965. 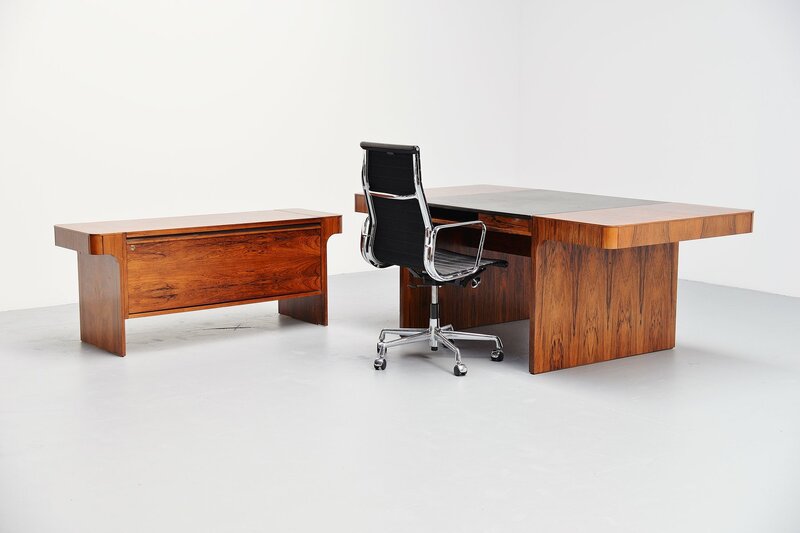 This very nicely shaped desk set has a conference desk and a similar shaped office cabinet with folding door. 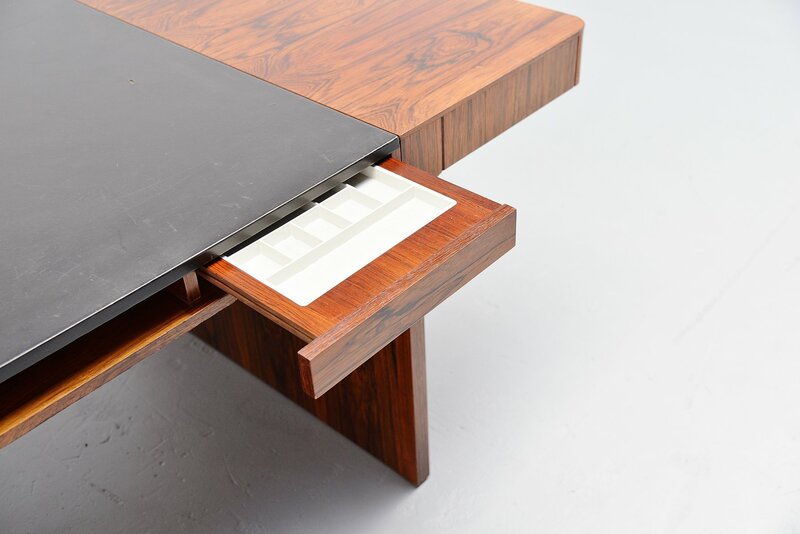 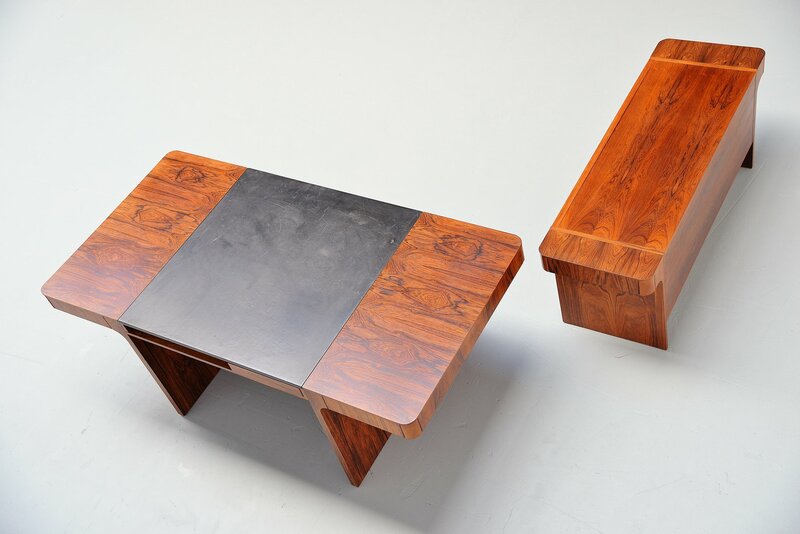 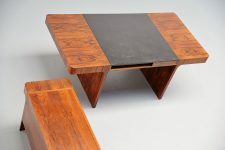 The desk can be used both sides, there are drawers on both sides and the working top is made of black leather. 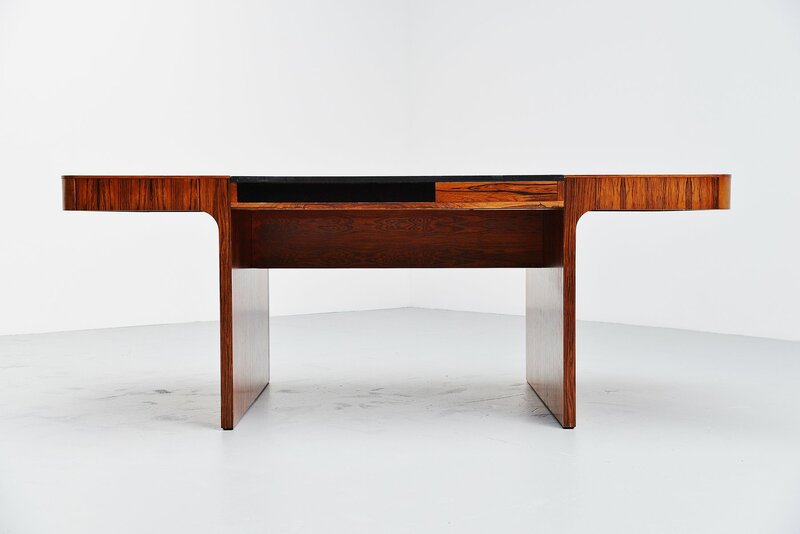 The desk shows a nice patina from age and usage. Very nice and uncommon desk set in good original condition. If wanted this can be restored into perfect condition, there are only minimal marks now.